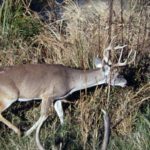 If you have property to lease for hunting, the number and the quality of the wildlife on your property will help determine the value of the lease. 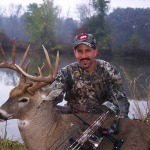 If you can prove you have big bucks and plenty of turkeys on your land, the lease becomes much more valuable. 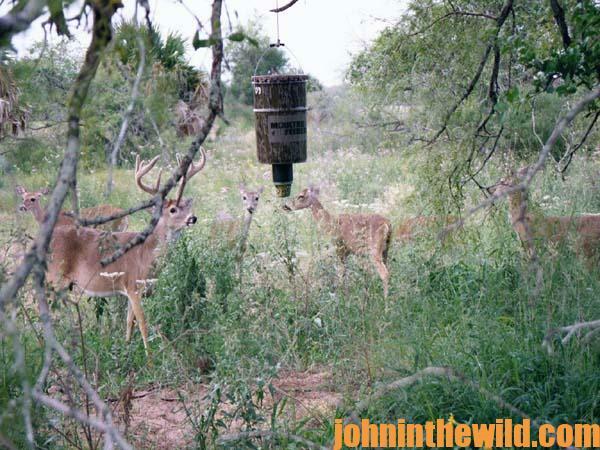 One advantage when using feeders and motion-sensor cameras to inventory the wildlife on your property is that you can set the cameras to give the date and the time the photographs have been taken. 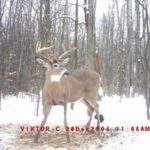 This is a very-important element when using game cameras to photograph wildlife on property you want to lease for hunting. 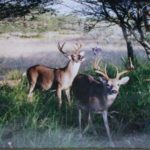 If you want to lease a piece of property to hunters, the lessees will want to see photos of the deer and turkeys on the property after hunting season has ended if possible. 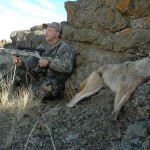 The time and the date on the photograph will tell them the wildlife is still there after the season has ended, so that game will still be available for harvest in the next season. 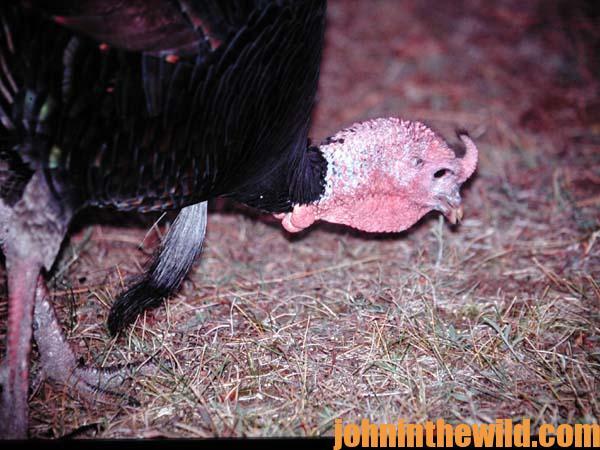 Another advantage to using feeders and game cameras when you’re offering property for lease, is by putting a stake that’s visibly numbered in the ground near a feeder, then when the photograph is taken, the hunters interested in leasing your property can see and know where the deer and/or the turkeys are on that land. 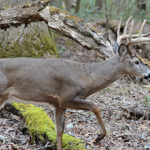 * whether you have one or two big deer on the property, and, also a good crop of yearling bucks for future years of hunting. 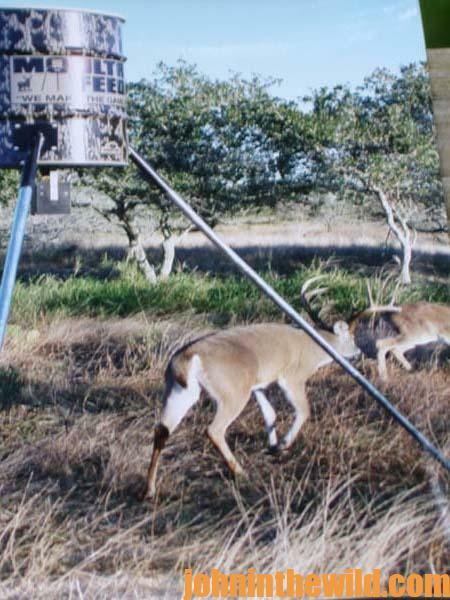 A feeder and a motion-sensor camera are the two most-efficient tools a landowner can use to lease his property for a fair price. 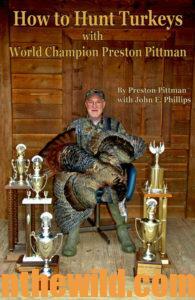 To learn more about hunting turkeys on this land, go to John E. Phillips’s book, “How to Hunt Turkeys with World Champion Preston Pittman” at https://www.amazon.com/dp/B00CFP9V2Q to see Kindle, print and Audible versions. 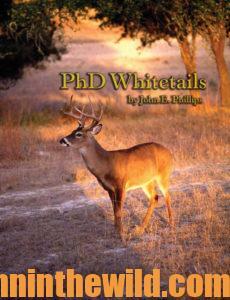 For more information on hunting deer, check out John’s book, “PhD Whitetails: How to Hunt and Take the Smartest Deer on Any Property,” at https://www.amazon.com/dp/B007A2N792.